Born and raised in Kuala Lumpur, Malaysia, Vishen moved to Michigan, USA in 1995 to study at the University of Michigan, where he majored in Electrical Engineering and Computer Science. There he discovered AIESEC, a non-profit student run organization dedicated to nurturing young leaders into becoming global leaders who want to make a difference in society, and eventually became the Vice President for the USAteam, in charge of nominating and sending AIESEC students abroad for internship programs. In 2001 he moved to New York to work for a technology company in the legal industry. To deal with the stress of the job, he turned to meditation, and studied The Silva Method, a popular mindfulness program developed by Jose Silva. Inspired, he became a qualified instructor and began teaching meditation classes for the program. Realizing that there was great potential for meditation and personal development in the digital world, he launched Mindvalley in 2003 (with former partner Mike Reining) as a digital publisher and marketer of self-help programs and courses. Through Mindvalley, he builds businesses that innovate on transformational education geared towrads positive impact for all ages, through mediums that range from digital publishing, educational technology, online learning, mobile apps, content, events and more. The company’s mission is to empower people to live healthier and happier lives, unleash their fullest potential and Be Extraordinary by introducing them to tools and ideas that are currently missing from traditional education systems. 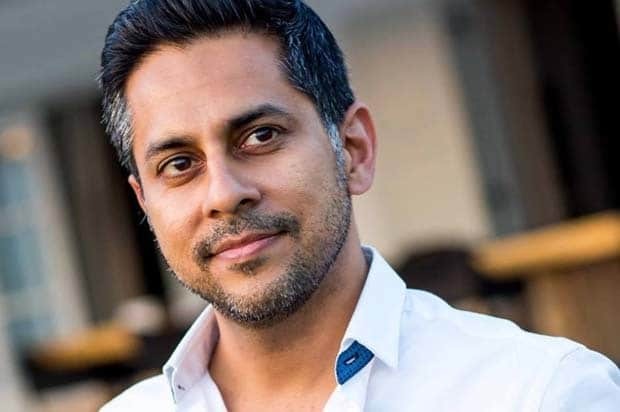 As a world-class speaker, Vishen is known for talks on entrepreneurial mindset and company culture, and has shared the stage with the likes of Richard Branson, The Dalai Lama, and Tony Hsieh.